A fews times recently I’ve heard someone say, “If we did nothing, our organic growth would be …” as if organic growth required no effort. That’s like assuming that organic food grows naturally on the side of the road, or a party will organically form around a bowl of Doritos. Organic growth does not mean it requires no assistance, but rather, according to Merriam-Webster, it is the result of a “complex structure of interdependent and subordinate elements whose relations and properties are largely determined by their function in the whole.” The organic system’s complexity means that it’s often difficult to identify its subordinate elements, and therefore it’s difficult to measure cause and effect. There’s the rub. The era of big data has us all fawning over the measurable. Me too–I’m a data geek from way back. At the same time, I’m wary of data myopia. Today’s obsession with data-driven efficiency eerily evokes industrial age Taylorism when assembly line mechanics were applied across industries to improve workforce productivity: if it can be measured, it can be optimized. The non-measurable is viewed at best with skepticism, but more often left on the cutting room floor. We do our damnedest to eliminate organic variability. From our Fitbits to our kids’ play dates, everything is scheduled, measured, and optimized. 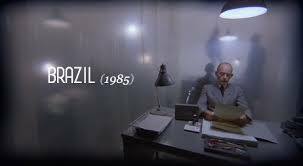 As the big data pendulum swings rapidly toward Brazil, let us not forget the lessons of the past. The organic systems we are attempting to harness–be they astronomical, medical, or organizational–are living systems in a state of flux. Their quarks, their viruses, and their virality will continue to elude us. Observation, intuition, and empathy will forever need to balance the numbers. This entry was posted in IT, Tech, Uncategorized and tagged big data, systems thinking, taylorism. Bookmark the permalink.